IS FULLY-CUSTOMIZED TO MEET THE NEEDS OF EACH GOLFER. Better scoring ... typical program averages 6-8 stroke reduction in 12 months or less! Increased distance of 20 - 40 yards or more! 35% or more improved fairways in regulation! 45% or more greens in regulation! Play with more confidence and enjoyment! Improved posture, balance, flexibility and control! More strength, swing speed, power and distance! "If golf is your passion... this book is a must!" "After starting Dr. Callaway’s SUPER POWER GOLF Training System, I went from hitting my driver 260 yards to 300 yards and my game improved from a 4 handicap to +3". "I dropped my handicap by 6 strokes!" "I'm hitting more solid shots with greater distance and I'm playing with much more confidence!" “I new I needed more strength if I was ever going to hit my driver any farther than my 5 iron. So when I discovered Dr. Callaway’s SUPER POWER GOLF Training System, I was very excited because it showed me exactly how to quickly and easily gain the extra ‘golf’ strength I was looking for. Dr. Callaway’s training system is fun to do, and it's made me a better, more competitive player. I've gotten a lot stronger, and my golf posture, swing motion, distance off the tee and scoring consistency have all improved so much! “Dr. Callaway’s training system exceeded my expectations. His custom training system is truly transformative! Not only is my back pain free, but my overall posture, strength and energy levels are much better. My family and friends have noticed the changes as well. “Dr. Callaway's golf-fitness training system proves that you ‘can’ teach an old dog new tricks… especially when it comes to striking the ball more solidly with my driver with much more distance and accuracy. I'm '77’ years old and can now ‘consistently’ shoot my age!" "I want to thank Dr. Paul Callaway who has made a huge impact on my instruction/life and influenced me to diligently study the effects of the 'body's' relationship to golf. I will never forget that 'structure' has a great deal to do with total golf performance. " "I had suffered from chronic lower back pain for years. During those years of daily pain, I'd typically take Advil every night just to fall asleep. 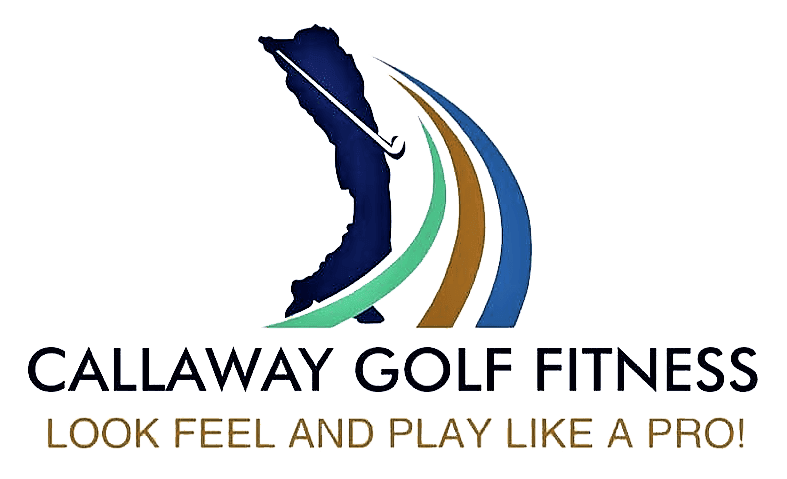 I heard about Dr. Paul Callaway's golf fitness training program and wondered if he could help me? When I met him, he evaluated me and found that my spine, hips and pelvis had muscle imbalances that were causing my posture to be out of alignment. He helped me straighten my posture and re-balanced my muscles with specialized 'manual' therapy techniques and custom exercises. I can tell you now that my life has changed! In three sessions my back pain was gone! I can play golf, do my work and SLEEP without pain for the first time in many years! And, the money I'm saving on Advil has practically paid for my custom program.If you have a pain problem caused by your golf game or interferes with your ability to play golf with full enjoyment ... I would highly recommend that you contact Dr. Paul Callaway immediately! I am very confident that he will be able to help you! After all, what do you have to lose? Perhaps some sleepless nights and a big Advil bill?" "As an avid golfer, martial artist, and the father of a competitive junior golfer, I understand the importance of fitness and the role it plays to help forge success. If you are trying to improve your overall strength, health, and mental outlook, there are a myriad of paths that can be followed. Such paths are often coupled with endless advertising messages, advice from friends, colleagues, and so on and so forth. The options can be overwhelming, confusing, and most of the time ineffective. I personally have evaluated and tried all kinds of fitness programs, routines, and methods, and looked into several options to help my son prepare for competitive golf -- but ALL have fallen short when compared to the results gained by working with Dr. Callaway. There's no one-size fits all plan with Dr. Callaway, no canned work-outs, no preconceived notion that something worked for persons A, B, and C, so it must be right for you too. The fact is that we're all very different; different body types, different strengths and weaknesses, different personalities, different goals, etc. Dr. Callaway takes a passionate and definitive approach to understand your goals and your physical foundation. After a complete physical evaluation, you'll know precisely where you stand regarding the identification of your weaknesses and your strengths. Dr. Callaway has helped us better understand the relationship between an individual's physical structure and the golf swing. As that gap has narrowed, my son Troy has started to see great success." "Playing more consistent golf... much closer to the kind of golf I always felt I had the potential to play... was always a dream of mine to accomplish... but seemed impossible to achieve. That is, until I met Dr. Paul Callaway... and started following the total golf performance program he designed for me. The program I'm doing makes so much sense. It has completely improved my game! I feel great, my body looks and feels strong, my pro tells me that my swing is much more solid, and I am so much more confident on the golf course. I highly recommend that you contact Dr. Callaway right away and find out which of his program options would be best for you!"